These are called “Pesara Sunni Undalu” in Telugu. Sunni Undalu is traditional Andhra sweet dish which is very simple and easy to prepare. We usually prepare these during festive seasons. 1) Dry roast moong dal until it turns equally reddish brown in color. Remove from heat and keep it aside to cool. 2) Powder the sugar in mixie and keep aside or use powdered sugar. 3) Grind the roasted moong dal into a fine powder in a mixie. 4) In a big bowl mix well moong dal powder ,powdered sugar ,cardamom powder and nutmeg powder. 5) Melt ghee and pour into the prepared mixture and mix well. When the mixture is still warm make ladoos out of it. Add hot ghee gradually if the mixture becomes dry and ladoos cannot be easily prepared. 6) Leave the ladoos on a plate to dry . These laddoos can be stored in an airtight container up to 20 days. This recipe is reaching Purva's Festive Food Event. Sweets and Savouries Event hosted by Saraswati. 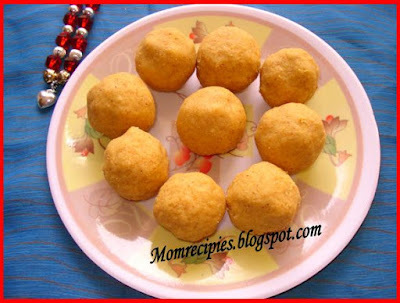 Looks really great.. healthy ladoos..
it's my fav. looks so tempting delicious and healthy too. My fav...feel like grabbing few from the picture..laddoos looks really prefect Sireesha.. 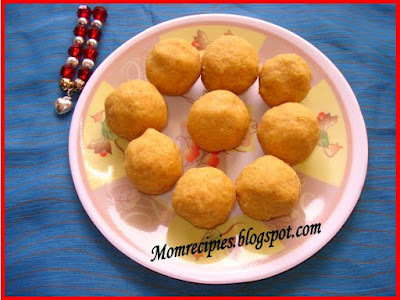 I have never tried these laddus and your recipe is tempting me to try it. I've bookmarked it. Congrats on 150 recipe milestone! Looks delicious. My favorite healthy ladoo. have bookmarked ur recipe.. will make it soon....also will try to send sth for your event ! Ladoos looks yum & delicious Sireesha..I have never tried these laddus and very new to me..Iwill try this dear:)Thanks for sharing..
they look so yumm..good for kids too.. Wish i could grab one of those delicous ladoos. Wow laddoos look perfect! never made with moong dal before, thanks for sharing! Sunnundalu looks so delicious !